President: Laraine Bashford | Vice President: Dave Croft. 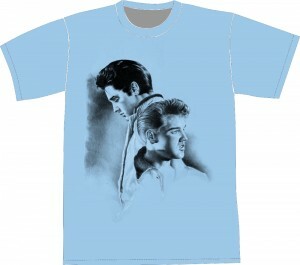 Who would have realised that after Elvis Passing in August 1977, Elvis would still be as popular as ever. From three or four generations his loyal fans still care about preserving the legacy which is ‘Elvis Presley’ and that you want to ensure that as an Elvis fan, you can take part in celebrating the life, times and talent that he shared and still continues to share with all of us. Now I know that all Elvis Memorabilia is so precious to every Elvis Fan, but on occasions you might inherit one or two extra items, which perhaps other Fans might not have seen or been unable to own, in which case, we are offering you all, to take this wonderful opportunity to Privately exchange, buy or sell these items to other fans in the Fan Club, plus be able to chat to other Elvis fans throughout the world in the Forum. THE WEBSITE is regularly updated and is full of pictures, paintings (these can be purchased), rare unseen videos, blogs and true stories of experiences over the past years. Visit the website and enjoy it I am sure you will be as excited about this Fan Club as we are. The Ace Club Elvis Fan Club has Been Registered Official By Elvis Presley Enterprises Inc.
We are a non- profitable fan club, dedicated to Elvis and events that relate to Elvis. This Legend who was loved and still loved was taken away from us too soon. ELVIS SINGS BOSSA NOVA BABY HD - Elvis performs Bossa Nova Baby in the movie Fun in Acapulco. My fascination and love for Elvis started back in early 60’s when I heard Elvis sing ‘It’s Now or Never’. From then onwards I have been a number one fan. I joined the Official Elvis Presley Fan club and received a monthly magazine for many years. Over the years I have bought many singles, EP’s & LP’s of Elvis, which are now neatly packed away to avoid damage. I saw every one of his films and knew that most of them Elvis didn’t want to make. For me it was just that Elvis was the Star and that I could see him. In those days it was very expensive to fly to Memphis so watching Elvis in film was the next real thing. I have also collected many news cuttings, pictures, and posters through the years which I have also kept in large albums. I remember the day when Elvis died. I woke in the morning to hear all Elvis records being played on the radio, I thought to myself this is strange, my husband said to me that Elvis had died during the night. I could not believe it, I was so upset, and for months I could not play or listen to any Elvis music. Even now I can’t watch Elvis singing ‘Unchained Melody’ as it just breaks my heart to see him like he was. After getting married and having a family and then moving to France with my family, my dream was to visit Graceland, so I planned that on my 60th Birthday I would take my sister to Graceland, as it was an important birthday.